Measuring Pole operated by one person! 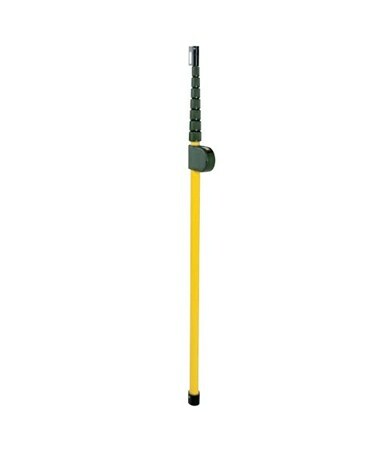 This Measuring Pole is great when you want to measure from the ground up to the underside of something tall. Exact measurements of up to 26 feet are conveniently read on the enclosed sealed counter. The counter is mounted to the bottom tier so it remains down closer to you so you can read the measurements. The top tier extends up in sections one at a time until it "bumps" or hits underneath what you are measuring. Once extended, you simply read the counter and take your measurement, then you retract the pole. The top tier has a metal flip-out feeler or stop that you can put up against what you are measuring to. 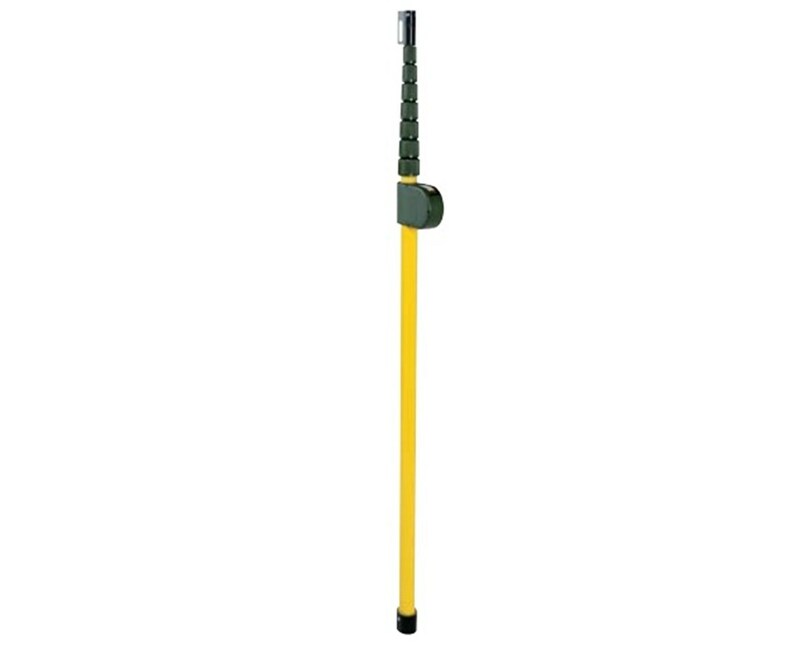 This tool is great for measuring underneath bridges, overhangs, utility lines, telephone poles, ceilings, and more.